What is a Connection Practice Group? It’s a group that provides a supportive environment for building connection. Who can attend a Practice Group? Note: Groups may permit newcomers who are curious about the Practice to attend with the understanding that they may observe and listen. It is our experience that people who haven’t yet learned the Practice often struggle and lack confidence if they try to participate before they have adequate preparation. We recommend that Practice Group leader/s ensure that newcomers are prepared in some way before joining and participating in the Practice Group (e.g., encourage newcomers to take a Part 1 course, learn the Practice from a certified coach, read Rita Marie’s book Completely Connected, etc.). In addition, we have observed that regular Group participants may feel frustrated when time is taken to teach newcomers the basics. What is the ideal number of people in a Practice Group? The goal is to support learning, practice, and mastery. For in-person groups, the groups can be almost any size since attendees can break up into smaller groups to practice the skills (e.g., 3-4-person groups, partners). For online groups, keeping the number to four or fewer allows full participation and an enriching experience. How do you start a Practice Group? A certified Connection Practice trainer/coach who is willing to lead the group initiates and registers it. As people master the Practice, the trainer may identify and mentor someone in the group to take over the leadership role. Once that person has developed sufficient confidence and experience, as determined by the trainer, the trainer will assist the new leader in assuming leadership of the Group. How often does a Practice Group meet? It is recommended that new graduates join a practice group that meets every other week (typically for 90-120 minutes) for at least three months. This provides adequate follow-up to the skills learned during the course. Over time, the group may decide how often to continue meeting as a way to support each other’s growth. What support will a leader have? The trainer/coach/mentor will provide support as needed. The group will have access to the Group Agreements, Feelings and Needs lists, and the Connection Practice with a Partner handout. Each participant will become a member of RFI for an annual fee of $50. The group leader is responsible for ensuring that each participant pays the annual membership fee. The group leader collects the individual checks annually and sends them to: 1520 Rosette Way, Gilroy, CA 95020. In addition, the group leader may request a fee for facilitating meetings. Lastly, participants may be asked to contribute to the cost of the venue and any other meeting costs. 1. Do the Quick Coherence Technique. 2. Read aloud the Group Agreements. Read one time when the group forms and repeat, as needed (e.g., periodically as a reminder, when newcomers join the group, etc.). Participants share experiences where the practice was used since the last meeting. 4. Choose A, B, or C.
Lastly, the group makes a circle (online this is a visual connection). Each participant shares a need that has been meet during this group session (e.g., My need to be heard and understood was met today.”). 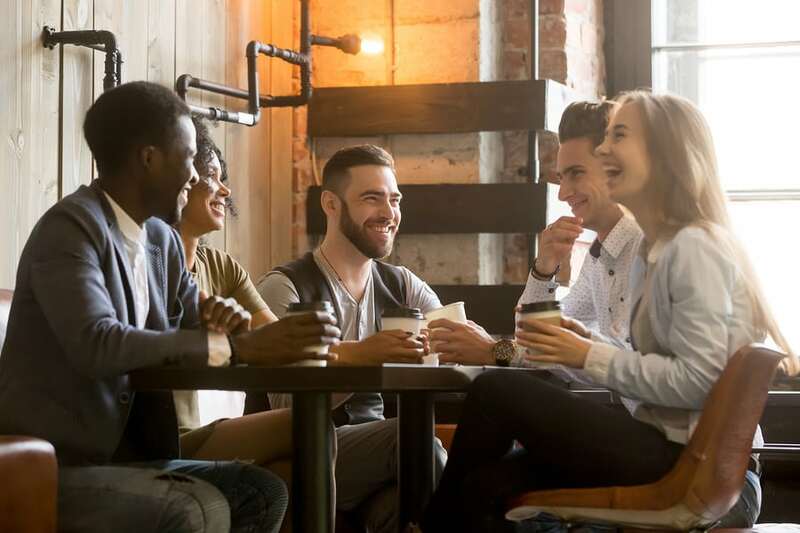 The group may close the meeting by jointly saying “I choose to live from connection every day.” or some other inspiring statement that reflects the group intention. If your group disbands, please notify RFI by sending an email to info@connectionpractice.org. Quick Coherence is a registered trademark of the HeartMath Institute. Hey Buddy!, I found this information for you: "Connection Practice Groups". Here is the website link: https://connectionpractice.org/connection-practice/learning-options/connection-practice-groups/. Thank you.